Dance Macabre clocks in at 90 pages, 1 page front cover, 1 page editorial, 1 page ToC, 1 page SRD, leaving us with 86 pages of content, so let’s take a look! Now the first thing, before anything else, you should know that Dance Macabre is literally is the only book you need to run the module – no switching to thousands of different books, not a full bag of supplemental material – this module provides more supplemental material than you can shake a stick at: First, we get all spells used in the book; then, there would be the rules-reference section, which includes all those handy special abilities, from ability drain to breath weapons, handily explained for your convenience. The same goes for magical items, btw. And yes, there even is a nice array of animal tricks explained for your convenience, rendering this module exceedingly comfortable to run. Beyond even that, though, we get something you can use even when not running the module – the bestiary-section does provide ample Knowledge DC-checks to deduce information on the respective creatures featured in the module. Oh, and the module does sport all artwork handily collated at the back of the book in the form of a collated appendix, allowing you to print it out as a kind of look-see-artwork-booklet. Think that takes up too much space? Let me assure you, it doesn’t – the module, even after that, clocks in at a massive 52 pages – there is *A LOT* of content to be covered. It should also be noted that this module, like all 4$D-modules, does provide handy lists of CR, adversary, XP and treasure for each relevant encounter, including options for extra treasure, depending on your playstyle (and extra PCs – up to +2 PCs are thus supported without you having to do ANYTHING). You should also be aware of the vast amounts of maps – while not necessarily beauties, I’ve seen worse and EVERY relevant location is covered – the sheer amount of maps provided deserves applause, especially since they also come with high-res jpegs and player-friendly iterations. It should also be noted that the unique town herein does sport an extra mini-gazetteer for the players and that a clue-flow-chart helps running the module. So far for the formal criteria, now let’s take a look at the module itself, shall we? Now before we dive in, this is the SPOILER-WARNING. Potential players should immediately jump to the conclusion. Seriously, you will be so sorry if you spoil this one for yourself. All right, so this module begins common enough – a drunk father and ratcatcher, bereft of his daughters (who have chosen the adventurer-lifestyle) have recently taken off and the grief-stricken father immediately tries to pick a fight with the PCs. However that works, in the end, the PCs will have been tasked by the man to track down his daughters and ensure their safety – and the trail leads into the aptly-named twisted moorland. Now if you have played the supreme “Journey to Cathreay”, you’ll immediately realize the sheer massive amount of detail you can expect from 4$D wilderness trips – and this module does feature just that – random weather-tables (with all relevant rules), random encounter chances by time – the level of detail is staggering and from lone guest-houses to the farm where the two adventurers hang out (sans the daughters, mind you, and very much hostile…), the level of detail provided is interesting indeed – take e.g. a druidic stone circle, where the devout PC may acquire a temporary elemental servant – not required by the story in any way, but it does add the sense of cohesiveness and realism to the magical world depicted herein. Now whether on friendly or hostile terms with aforementioned adventurers, the PCs sooner of later will make the acquaintance of a dryad of a forest most dilapidated and desolate, who ahs struck a deal to ensure her survival – and in case you haven’t noticed, yes, there is a subtle theme at work here, but more on that later. Her combat tactics come with a level of detail scarcely seen and from TPKing to less lethal failure scenarios and the like, the encounter with the pragmatic, corrupt dryad offers quite an array of different options. Now, alternatively, the PCs may have found among the adventurer’s belongings a call for help in clearing out an evil temple or have been bluffed by them – in either way, the temple is just another elaborate anti-adventurer trap, much like the dryad’s gambit. If this does not look to exciting so far, rest assured that the way in which this is handled is superb – and the level of detail provided here is staggering as well – take a skeleton with a foreign pterodactyl bone rattling in its rip cage – and yes, this is a curious and intriguing foreshadowing of the things to come. Either way, the investigation sooner or later will bring the PCs to the aptly-named town of Twisted Bridge, where a special kind of evil flourishes. The town is not a poor place; in fact, it is quite wealthy (and fully statted). However, it is a town rules by egotism and passivity- we have a macabre blending of gillmen working menial labor and a kind of aristocratic upper class, sneering at the irrelevant, marginalized people that do not belong to the illustrious crowd of the village’s people – here, everyone is in only for themselves and their immediate friends and family. Mind you, this is not a depiction of a town that is suppressed or “kill ’em all”-vile – it can be considered almost a subtle satire of a mentality that is all too real in our very world. Sounds too dreary? Players not into subtle, unobtrusive social commentary? No problem, just spring on them the top-hat wearing deinonychus currently running a errand for his master and they’ll be right back in the fold. And yes, this is one of the colorful sight &sound-style random encounters form the table. On a mechanical level, the mentality that considers “evil” behavior a matter of discussion and the townsfolk’s fun when looking at paladins whirling from all the evil they can detect is not only rationale and concise, it makes surprising sense and adds a whole new spin on the black-white-morality conundrums. Twisted bridge itself is not only mapped, but also sports what essentially amounts to a lavishly-detailed gazetteer-section that had me reminisce about the weird cities in 3.X’s Scarred Lands, though, obviously, in less depth, Twisted Bridge definitely can be considered a town so unique and dripping with flavor and tangible magic, it exudes an allure that is difficult to describe – from undine sorcerors to lizardmen, from chocolatiers to female-only hair-saloons (aptly and humorously named “Rapunzel”), twisted bridge equally breathes a sense of decadence and wonder, of despicable passivity and carelessness and intoxicating wonders – and allows one to easily see how one can be sucked into the moral choices such a lifestyle may engender. The massive investigation-potential and related clues definitely allow for one glorious free-form investigation, set against one of the most compelling backdrops I’ve seen in quite a while. The trail of the girl’s horses, though, can sooner or later be tracked to a farm – where matrons grow narcotics to allow the people in town to sedate their children, should they act up – have I mentioned, that, much like many a good fantasy or scifi novel, this module can be enjoyed on a consumerist perspective and still has some serious social commentary going for, should you be so inclined as to delve into it, all without shoving an ideology down your throat? Among the narcotics-inducing plants, though, jack-o-lanterns loom, including a moderately intelligent one, with whom the PCs can talk, alternating quickly between settings of potentially psychedelic horror and abject comedy – oh and then there is a level of detail that borders on the ridiculous, the ridiculously awesome, that is – the fields actually note which plants are grown where: From chai to chilies, the handout provides the detailed notes on this. Yes. *That* is a realism that can only be described as staggering -and whether you use it or not, it does add immensely to the sense of immersion. The trail, then, leads to the cathedral of bone, the macabre abode of the town’s de facto dhampir-ruler and aforementioned, top-hat wearing dinosaur companion. There *is* a macabre axe-beak skeleton to be found here, but whether or not hostilities break out depends very much on the PC’s actions – and yes, the reason *why* a friggin’ axe-beak skeleton is here, is also given – and the pterodactyl bone mentioned before may give the PCs away, so let’s hope their investigation skills are on par. Among the weird places to be found (potentially via the nasty adventurers), an alchemist (vivisectionist) and the way golem he created as an automaton to sate the depraved desires of the townsfolk can also make for interesting encounters, the latter even for a potential cohort of the oddest kind. Tzitzimitle, the main antagonist of the module, currently resides in a clock tower most unusual – in that e.g. it sports a pool that is inhabited by piranha-level voracious, bad-tempered killer-goldfish. No, I’m not kidding. This is a thing – and it is glorious. My players actually started laughing as their PCs started to be chomped by the little buggers. The exploration of the tower, alas, yields no satisfactory results (apart from further leads and the satisfaction of destroying clockwork creatures and braving the traps with which the place has been laden) – and so, a further stop along the way may be the massive Necropolis of the town, where the bored, amoral gargoyle Gabriel, a picturebook sociopath, awaits – alongside Enya, one of the kidnapped girls, who is currently trapped within a mausoleum that is both warded and dangerously unstable – and hence, rescuing her will prove to be difficult. Have I mentioned, that her statements (or the alchemist’s investigation) can lead them to essentially the same goals, namely the sewers, where the whispers of the dead abound and a worm-that-walks, the gaoler of Enya, provide further evidence of the horrible things to come: And it is at the very latest here that the pieces will *click* together – Tzitzimitl, an exceedingly powerful oracle (level 10) who has gleaned the circumstances of his death, but not the particulars, has entered an unholy alliance with a powerful wraith named Yetaxa – with combined efforts, they have not only engineered all those nasty anti-adventurer traps the PCs had to face; they have also introduced a truly decadent festival to the town, wherein the living dance with the wraiths under the control of Yetaxa – at the low price of just one innocent to be wraithified per festival – and who cares about strangers? Hence, the first of the daughters, alas has already been transformed by Yetaxa in the general rehearsal of the last festival -for today, shall be different. Wraiths cannot endure the sunlight, but a total eclipse renders a festival today possible – and also the only way in which Tzitzimitl’s prophecy of his own doom could come to pass – hence, he has engineered this rather elaborate plot to prevent just that. Alas, the festival, detailed with a concise timeline and hearkening to a carnival, through a glass darkly, proceeds – and provides the PCs with an option to save Enya – provided they have been smart enough to provide her with an amulet they can acquire, which renders her impervious to Yetaxa’s cruel attempts of transferring her to undeath – so, in a finale both decadent and epic, the PCs will have to destroy Yetaxa in the catacombs – success frees the wraith and spawn from his control, resulting in a massacre and the prophesized death of Yetaxa, while also putting the PCs in dire peril, as they are shepherded into a dead end by now free, vast amounts of undead – only to be saved alongside Enya by the rays of the sun emerging from beyond the eclipse – and yes, if played right, this *is* one hell of a finale that also sees a town made uninhabitable by the undead – as well as killing the powerful Tzitzimitl and setting him up for potential sequels as a new undead threat to face! Editing and formatting are very good, though I noticed a couple of minor typos – “intimation” instead of “intimidation” can be found once, as can be “wont” instead of “won’t.” The language-geek in me also cringed whenever I read “coup-de-gras” instead of “coup-de-grâce” – that has nothing to do with fat, greasy or the like, but refers to the deathblow. Layout adheres to 4$D’s printer-friendly two-column standard and the pdf comes fully bookmarked for your convenience. The pdf comes in two versions, one for the US-paper-format, one in A4 for Europeans like yours truly – love that! The artwork provided is copious and I have seen none of the neat, old-school B/w-art before – really nice! The cover, as always, is also breathing the spirit of old-school awesomeness. The cartography is functional, as are the handouts, and make up for not being the most beautiful being provided for just about EVERYTHING. Okay, let me get one thing out of the way – my complaint about the typos above? That is the only negative thing I can say about this module. At this point, all of the following things are a given: 1) Whenever Richard Develyn releases a module, my players want to play it asap, even if it means putting the main-campaign on hold. 2) I actually go to these modules when I require a break from reviewing; when I’m frustrated and need a reminder of why I actually do it. 3) Every module has a radically different style. All of these hold true with Dance Macabre – even though formally, like the Key to Marina, it can be considered an investigation module. Alas, the way in which it works is pretty much radically different – less of a scavenger hunt, more of a detective tale, it reminded me in the best of ways of the first Gabriel Knight game in the atmosphere it evokes – what we have here can be called a blending of far-out fantasy with the underrepresented panache of proper, fantastic Southern Gothic. From the themes provided to the imagery evoked, the glorious sense of decadence oozes from each and every pore of the module – you can play this as pure entertainment…or emphasize the striking themes it evokes: If you want it to, this module can serve as a social commentary and a rallying cry against indifference and cold-heartedness. The absurd amount of details provided help running the module immensely, and so does the flow-chart, though novice DMs still should read the whole module before trying to run it – this one is very much free-form in its flow. The true genius here, at least in my onion, would be the blending of the horrific and the absurd, of horror and comedy – and the optional nature of either. A competent DM can easily ramp up the comedy factor and make this module genuinely funny. Or utterly horrific. I ran this module twice prior to writing this review; the first time emphasizing a Ravenloftesque sense of horror for my mature players – and it worked perfectly. The second time around, I mastered this with a mixed group that contained some kids – and emphasized the fun and odd parts. Yes, there are some dark elements here, but nothing kids (talking about the 8 – 12-range) can’t handle – make e.g. the courtesan a menial laborer à la Cinderella and we maintain the message, but make the theme child-friendly – cosmetic reskin and that’s it. One of them surprised me when she mentioned that she had understood that fear of death can lead one to horrible choices, that one should instead do good and that the town exhibited traits of our own society – and that payback for such a behavior might come in some guise or another. Subtle themes, clearly understood – yes, this can actually be played as a morality play with some educational value. Southern Gothic horror, absurd, but still exciting comedy or a means of teaching about the world – the module provides a lot of playstyles – and it ran completely differently both times I ran it, so it has replay value to boot! I *ADORE* this module. It is unique in every sense of the word and sports yet another facet of Richard’s capacity that sets him apart as one of the few authors who push the boundaries and raise the level in the art of adventure writing. And yes, this module, in my opinion, can be called art…or proper literature. It is excellent and while the odd typo here and there may be slightly annoying; it is mainly due to the exceedingly high level of quality of the whole book this catches one’s eye. Still, I implore you to get this awesome piece of adventure-writing. It is unique in all the right ways and acts as one glorious example of what adventures could be beyond rolling dice and slaying monsters. Highly modular, versatile and with replay-vale, oozing with details, this module once again receives my highest honors – 5 stars + seal of approval. Do NOT let this one slip by! Dance Macabre is available from DriveThruRPG. 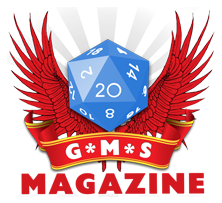 Podcast Episode – The RPG Room: GenCon!